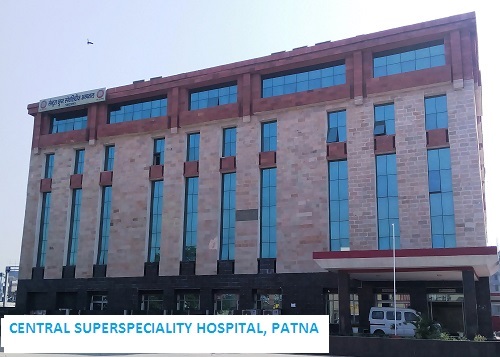 Central superspeciality hospital patna is a state of art hospital located at Karbighiya end of Patna junction in the centre of historic city of Patna. 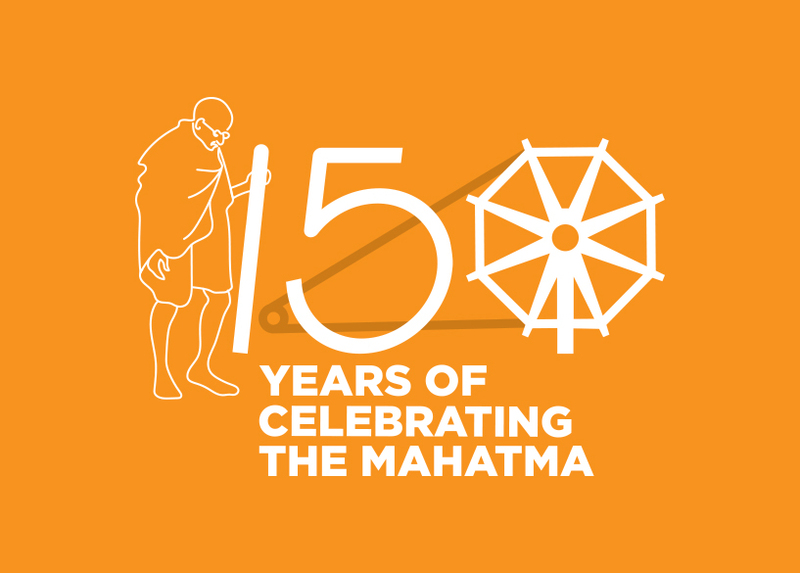 The project was sanctioned in 2005-2006. 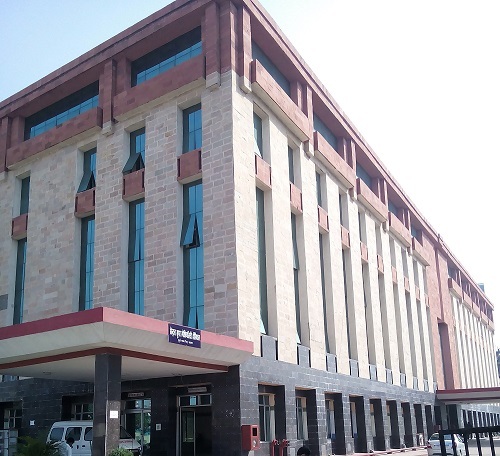 Central superspeciality hospital was commissioned on 22nd January 2009. Indoor facilities in this hospital were started on 25th May 2012. 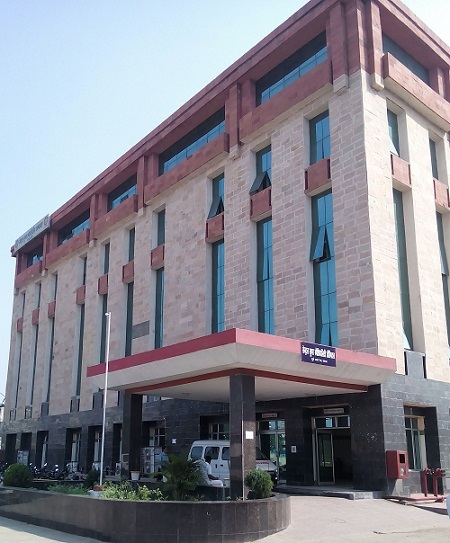 Total built up area of this hospital is 1.5 LAC Sq Ft. Total sanctioned bed strength of the hospital is 150. (a) Day to Day workof administration. (b) Staff grievances and liaision with unions. (c) Co-ordinatorof Hospital Visiting Committee. (f) Passing Bills of empanelled hospitals after checking by referring doctor. (h) Repair of all types of General and Hospital Furniture. (i) Look after the eye OPD in absence of Dr. Shriprakash and ENT OPD in absence of Dr.
(j) Ensure Smooth and quick disposal of office work. (k) He will look after the work of MD in his absence. (l) Incharge of Medical Imprest and MD office imprest. (a)Incharge of Dental Unit. (b)Procurement , AMC/CMC repair and condemnation of equipments in his jurisdiction. (c)Maintaining Punctuality of all Doctors and Staff of the hospital. (d)Organising Dental Camp/Health Education Programme. (f) Incharge of Dental Imprest. (a) Incharge of Department of Medicine(ICU) and cardiac non-invasive Laboratory. (b) Incharge of Cardiac Catheterization Laboratory Complex(ICU & ICCU-upcoming). (c) Procurement, repair, AMC/CMC and condemnation of equipments in his jurisdiction. development in consultation with MD. and other department as per MOU. (a) In charge of Pathology Laboratory & M&P Programme of the hospital. (b) Procurement , AMC/CMC repair and condemnation of equipments of Pathology deptt. (c) Timely submission of MCDO and Periodical reports of the hospital. (d) Implementation of Hospital infection control programme and training. (e) HIMS in department in co-ordination with Dr. Pankaj Kumar. (f) Incharge of Security services its tender work andsubmission of bills to Accounts deptt. (g) Implementation of EQAS Programme with CMC Vellore. (a) Incharge of department of Paediatrics , Paediatric ward and NICU. (c) Procurement , AMC/CMC repair and condemnation of equipments in his jurisdiction. (d) Nodal officer for AIDS/HIV control programme. (e) Incharge of immunization programme and implementation. (a) In charge of Ophthalmology Department of hospital. (b) Procurement , AMC/CMC repair and condemnation of equipments in his jurisdiction. (c) He should supervise the working of Eye Technician and Optometrist . (a) Incharge of Medical wards and cabins. He also look after the RELHS card holders. (d) He should ensure forimplementation of DOTS Programme in CSSH. (e) Incharge of CT/MRI and other investigation including bill payment. (a) Incharge of OPD and Casualty and ensure smooth functioning of these areas. work of sanitation and submission of its bills to Accounts department. (c) Registration of Medical cards. (a) Incharge of department of Obstetrics and Gynaecology of CSSH. (b) Procurement , AMC/CMC repair and condemnation of equipments in deptt. (c) Incharge of Clinical meetings, academic activities and celebration of National Days. (d) Incharge of Medical Audit and Mortality audits. (a) InchargeSurgical wards and timely Operation and follow up. (b) Procurement , AMC/CMC repair and condemnation of equipments of deptt. of surgery. Accounts department. He supervise timely change of linen in wards. (a) Incharge of Department of Anaesthesia, Operation Theaters and CSSD. includingGas Pipe Line of Hospital . (c) Incharge of Medical Gas Imprest and OT Imprest. (d) To conduct PAC clinic and timely fitness of operation cases. (b) Procurement , AMC/CMC repair and condemnation of equipments in his deptt. (d) Organize Health Camps at Hospital and other places in consultation with Dr. Alpana. (a) Incharge of Orthopaedic patients including OPD and Wards. (c) Incharge of HMIS, regular updating website of CSSH and other IT related work. (d) Incharge of Physiotherapy Unit and supply of artificial limb. (f) Monitoring and liaisoning with S&T depttfor networking and token system. (a) Incharge of ENT patient including OPD & wards and supply of hearing aid. (d) Dealing of Reimbursement claims and ensure timely disposal. formulateannual calendar and organize classes. (c) Execution of Health Check up Camps at CSSH & other places. (d) Incharge of Medical Library.